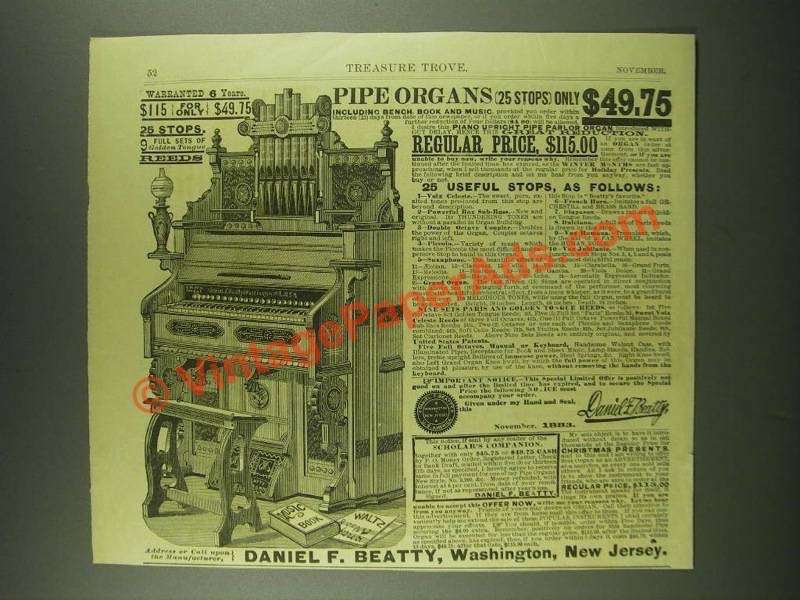 This is a 1883 ad for a Daniel F. Beatty Piano Upright Pipe Parlor Organ! The size of the ad is approximately 7x8inches. The caption for this ad is 'Pipe organs (25 stops) only $49.75' The ad is in good overall condition, with some light wear. This vintage ad would look great framed and displayed! Add it to your collection today! 1915 Haddorff Piano Ad - Rich-Toned!